.Dandruff is a common scalp disorder affecting almost half of the population. It is the shedding of dead skin cells from the scalp. 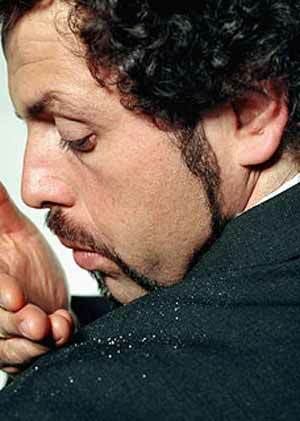 Dandruff is sometimes caused by frequent exposure to extreme heat and cold. Keratinocytes play a key role in the expression and generation of immunological reactions during dandruff formation. 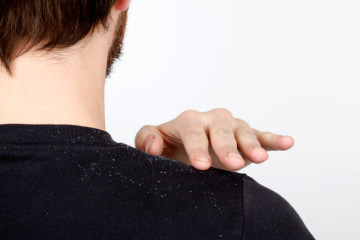 The severity of dandruff may fluctuate with season as it often worsens in winter. Those affected by dandruff find that it can cause social or self-esteem problems. Treatment may be important for both physiological and psychological reasons. Homeopathic treatment aims are treating dandruff completely without relapse. It treats the underlying cause of dandruff and hence helps preventing recurrence of dandruff. The medicines acts by altering the activity of the scalp tissue and therefore slow down the multiplication of the cells of the scalp. The medicine also depresses the abnormal multiplication of cells of the scalp called ‘stratum corneum’. Homeopathic medicines are unique in the respect that they can act as immune-modulators and possibly enhance the action of the immune-system in clearing away the irritating factors in dandruff.